As I mentioned yesterday, we were invited to a Superbowl party. Yes, neither my husband nor I have much interest in football, however I'll leap at at any opportunity to cook or bake something new. 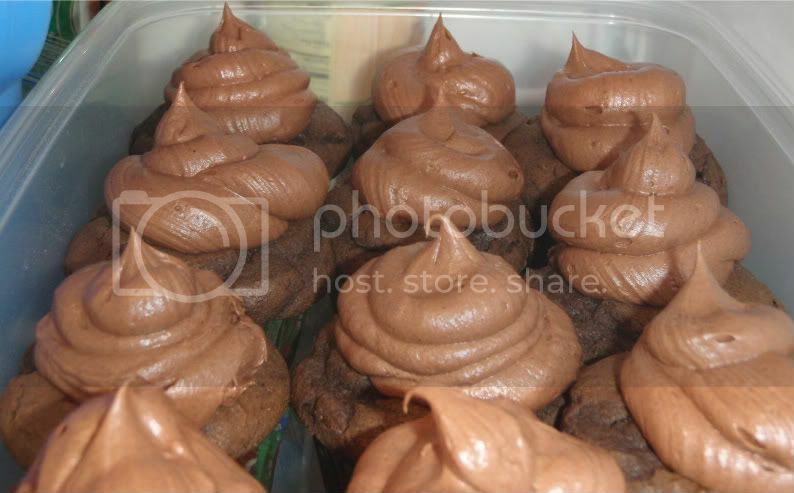 Since the hosting family has a bunch of kids, I immediately thought of cupcakes. 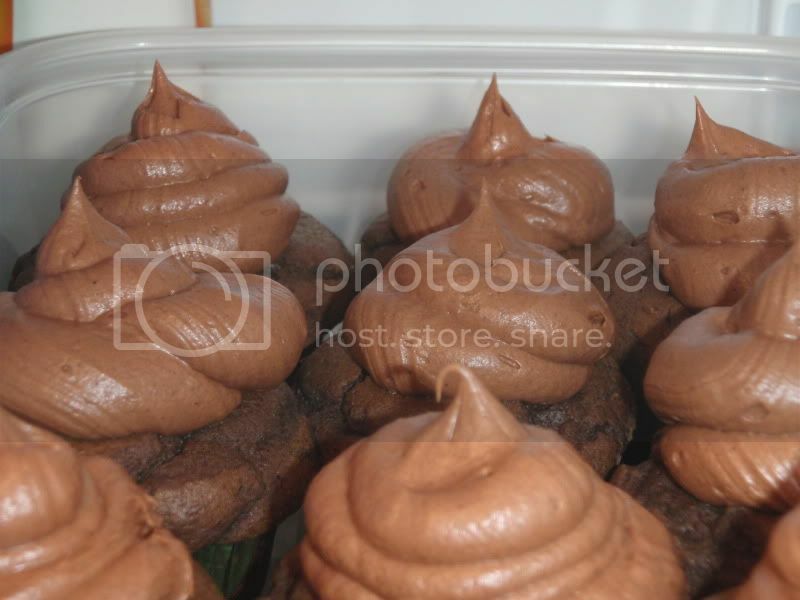 These chocolate cupcakes appeared in Hello, Cupcake! by Karen Tack & Alan Richardson. The icing is an amalgamation of several cream cheese frosting recipes I saw online, and turned out quite nicely if I do say so myself. The cupcakes were super light, which was wonderful, but a bit crumbly. I'm hoping I simply overbaked them a bit so won't throw this recipe out just yet. I definitely overfilled the cupcake pan, which may have led to a longer baking time than advisable. Preheat oven to 350 degrees. Line muffin pans with liners. In a large bowl, beat butter and sugar until light and fluffy. Add eggs, one at a time. Beat in melted chocolate. Reduce speed to low and add flour mixture alternately with milk, beating until just blended. Stir in vanilla. Fill liners 2/3rds full (this was my mistake, I think). Bake 15 - 20 minutes until a toothpick inserted into center comes out clean. Beat all ingredients together until desired consistency and taste is reached. I started with 1.5 cups sugar and added the last half after tasting.